This pair of Chinese porcelain ‘Dogs of Fo’ (Buddhist guardians of sacred temples), mounted with French gilt-bronze mounts demonstrate the pervasive interplay of Chinese and French elements amongst George IV’s furnishings. Turquoise glazes, Islamic in origin, are found in Chinese pottery from the Song period (960–1279) onwards. These wares were especially admired in France in the eighteenth century when the glaze was known as bleu celeste, and were favoured by Queen Marie Antoinette. 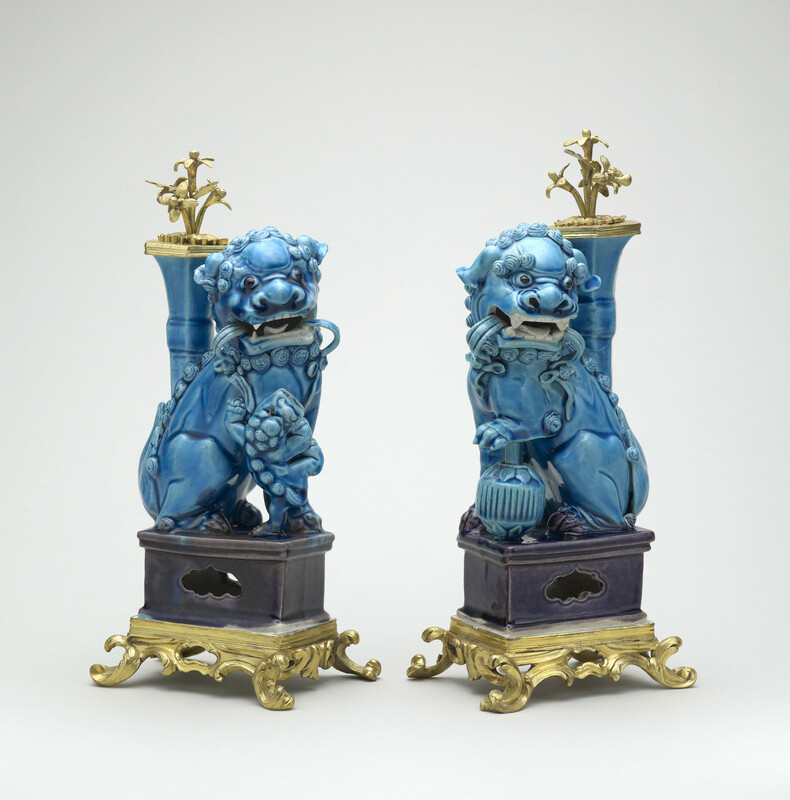 These were inventoried at the Royal Pavilion, Brighton, as ‘A pair of turquoise blue Kylins [Chinese mythological creatures] on purple bases, mounted in ormolu, nine inches’. Two other pairs of similar gilt-bronze mounted turquoise Dogs of Fo are recorded at Brighton Pavilion.